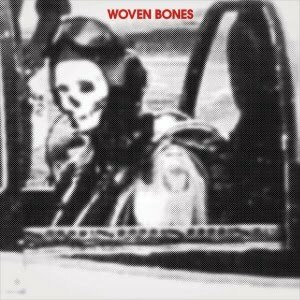 Royal Jelly: Woven Bones - I've Gotta Get 7"
Woven Bones - I've Gotta Get 7"
What else could be said about the Woven Bones that hasn't already been said? Well, for one I guess I could be honest and say, although I did enjoy all of their 7" singles, their LP was a complete disappointment to me. All the songs on it were filler. They kind of made up for that (very slightly) with this 7". Side A sees them putting more emphasis on guitar technicality and showing an almost surf style of playing it. Very catchy song, and although the guitar is very clear on this song, there's still plenty of fuzz to go around. Side B has the usual fuzzed-out guitar sound. It features an awesome guitar solo half way through. The song is a bit of a slow one, however, it's still a gem. yeah, i couldnt believe how disapointing the lp was, especially cause we had built it up in our heads for so long, lol. What makes the 7'' so good, is that each one shows the band displaying similar, but slightly different influences. Like, on some songs they sound like velvet underground, and on other songs they sound like a place to bury strangers...I guess the lp was just all generic sounding songs, and there was no mix of genre's or even good pop songs on there!